BAAR, Switzerland: January 9, 2018: Veeam® Software, the Availability for the Always-On Enterprise™ innovator, today announced results from its most successful year in the company’s decade-long history. Veeam has surpassed expectations by achieving $827M in total bookings revenue in 2017, an increase of 36 percent year-over-year. 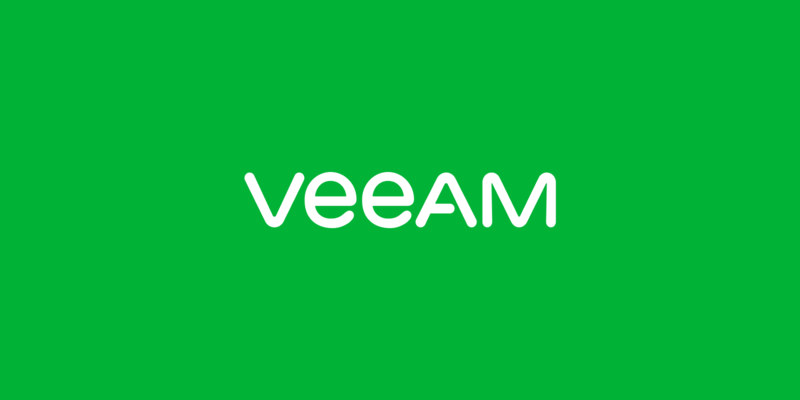 Such consistent growth can be attributed in part to the company’s continued innovation, enabling enterprises of all sizes to make Veeam their defacto platform for ensuring availability of virtual, cloud and physical workloads. “In what has been my first full fiscal year at the company, we’ve made many bold moves in terms of market focus, partnerships and organizational structure, and they have paid off across the board. To succeed, you need to be willing to take risks and make key decisions. During 2017, and specifically Q4, we executed on our plans to scale to a $1B company by the end of 2018, and the results speak for themselves. We strengthened our relationships with key alliance partners, such as HPE, Cisco and NetApp, which has driven more than $100M in bookings revenue. We added rich experience to our teams across the globe, and these steps have all contributed to our amazing success,” added McKay. Veeam closed more $500,000+ deals in 2017 than in the past six years combined, achieved a 62 percent YoY increase in large enterprise deals, and boasts 500 percent annual growth for deals over $1 million. More than 57 percent of the Forbes Global 2000 and 74 percent of the Fortune 500 are Veeam customers. Built the most comprehensive, single data protection and Availability Platform, with the release of Veeam Backup for Microsoft Office 365, Veeam Agents, Veeam Availability Console and Veeam Availability Suite 9.5 Update 3 with integrated agent management – enabling Veeam to protect any app, any data, any cloud. Cloud has been the fastest growing segment of Veeam’s business for the past nine consecutive quarters. In 2017, Veeam reported 50 percent YoY growth in its cloud business. With an increase of 57 percent YoY in cloud bookings for Q4 and more than 1.1 million VMs now protected with cloud services from Veeam Cloud & Service Provider (VCSP) partners, the company’s cloud momentum is increasing. Veeam has nearly 18,000 VCSP partners, with more than 1,200 new providers coming online in 2017. Gartner, Inc. positioned Veeam within the Leaders quadrant in the July 2017 Magic Quadrant for Data Center Backup and Recovery Solutions for the second consecutive year. The company improved on its Completeness of Vision and Ability to Execute in the Leaders quadrant. Veeam has been named to the Forbes 2017 Cloud 100 list, the definitive list of the top 100 private cloud companies in the world, published by Forbes in collaboration with Bessemer Venture Partners. More than 1,000 Veeam and HPE joint opportunities have been closed as a result of Veeam joining the HPE Complete Program, enabling customers to purchase complete HPE and Veeam solutions directly from HPE and its resellers. Cisco added Veeam to its global price list, making it easy for partners to quote and configure Veeam and Cisco data center solutions from a single ordering system and providing customers with a simplified way to consume the joint solutions with a single PO. Veeam is the recipient of a Cisco Partner Summit Global award, recognized as the Independent Software Vendor (ISV) Partner of the Year for 2017. Veeam expanded the success of its NetApp alliance from product integration to a full resell agreement that includes NetApp Data Fabric solutions. The addition of Veeam to the NetApp global price list enables NetApp customers to purchase complete Veeam and NetApp solutions directly from NetApp and its resellers in a single transaction. Veeam expanded its partnerships with enterprise solution providers, including integrations with IBM Cloud, VMware (by announcing Veeam Availability Suite for VMware Cloud on AWS), Pure Storage, Nutanix, and N2WS. Veeam extended its support for IBM AIX and Oracle Solaris via a technology partnership with Cristie Software, enabling enterprises to drive business transformation via a single comprehensive Availability platform for physical, virtual and cloud workloads. With an increase of more than 48 percent YoY in total bookings revenue for Q4, Veeam has achieved its 38th consecutive quarter of double-digit bookings revenue growth. More than 16.3 million VMs are now protected with Veeam Availability solutions as more than 1 million were added in Q4 alone. With the release of Veeam Availability Suite 9.5 U3, Veeam now provides a complete availability solution for virtual, cloud and physical workloads. This most recent release extends the industry-leading VMware vSphere and Microsoft Hyper‑V data protection to deliver No.1 Availability for any app, any data, across any cloud from a single “pane of glass.” Additional major product releases in 2017 included Veeam Availability Console™, a free management console for service providers delivering Veeam-powered services, such as Backup as a Service (BaaS) and Disaster Recovery as a service (DRaaS), to more efficiently manage, track and invoice for these services, and Backup for Office 365 1.5 with a multi-tenant architecture that enables protecting larger Office 365 deployments with a single installation, while empowering VCSPs to deliver Office 365 backup services.